Aloha, I'm a Student Media Advisor at University of Hawaiʻi at Mānoa who loves to work with passion on all of my projects. I am currently living in Honolulu, Hawaii Since 1997 I have been the faculty advisor to Ka Leo O Hawaiʻi, the once-a-week student newspaper, website and social media @kaleoohawaii operation for the Mānoa campus, and Hawaiʻi Review, the biannual literary journal. For eight years I also served as advisor to KTUH, the student-managed, 3,000-watt FM radio station (90.3-Honolulu, 91.1-North Shore, and 89.9-Windward Oʻahu) that is licensed to the UH Board of Regents. These programs and University of Hawaii Productions are governed by the university’s Student Media Board. As a board member of the Hawaii Publishers Association, I coordinate with my university Journalism Day training in the fall for state high school students and assist with the annual Hawaiʻi High School Journalism Awards in the spring. 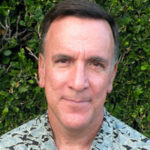 I came to the University after 20 years in journalism and communications; first as a summer intern for Honolulu's afternoon newspaper (Honolulu Star-Bulletin 1977 and 1979), then as a general assignment reporter for Honolulu's morning newspaper (The Honolulu Advertiser 1980-1988). Those papers merged in 2010 to form the Honolulu Star-Advertiser. I left the newspaper to write Nā Mamo: Hawaiian People Today (ʻAi Pōhaku Press), which won Hawaiʻi Book of the Year and Excellence in Hawaiian Culture honors in 1997. I also served as Communications Officer for the Honolulu City Council (1992-1994). Since joining the university, Ka Leo and KTUH staffs have won national and state honors for their work, including consecutive Paʻi Awards for College Newspaper Excellence. The College Media Association selected me in 2012 for the Reid H. Montgomery Distinguished Service Award. In 2013 I accepted a Fulbright Scholar award to teach journalism in Viet Nam for the 2013-2014 academic year.